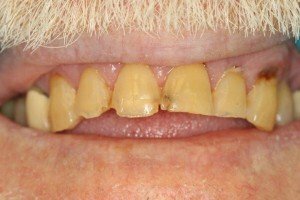 Patient had severely worn front teeth. He had also worn them dangerously close to the nerve on the backside. One of the coolest things about being a dentist in today’s day and age is the many cosmetic solutions dentistry can offer. The material selection is phenomenal and overcomes many challenges. 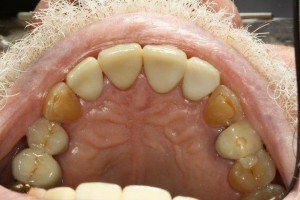 Because the teeth were already worn down and the nerve was close, Dr. Nugent elected to use all zirconia crowns. The beauty of zirconia is that it is white, super strong and can be made to .5 mm thickness. 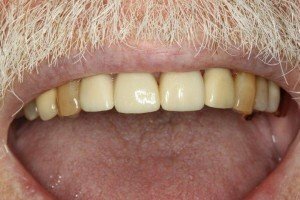 Dr. Nugent used all zirconia crowns for the front four broken down teeth. Cosmetic Dentistry has the power to change your self-esteem and appearance. Routine dentistry must give patients the most functional and cosmetic results. 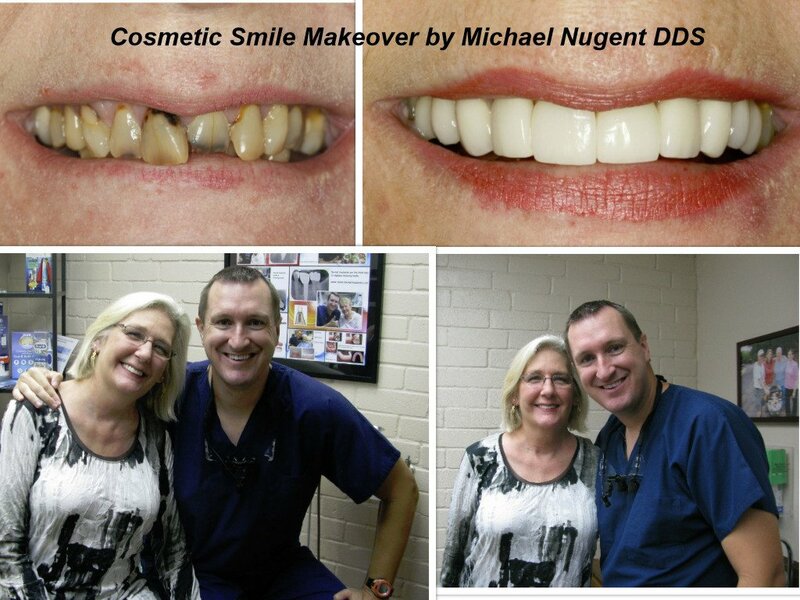 Dr. Nugent is a leader in Cosmetic, Family, Implant and Sedation Dentistry. 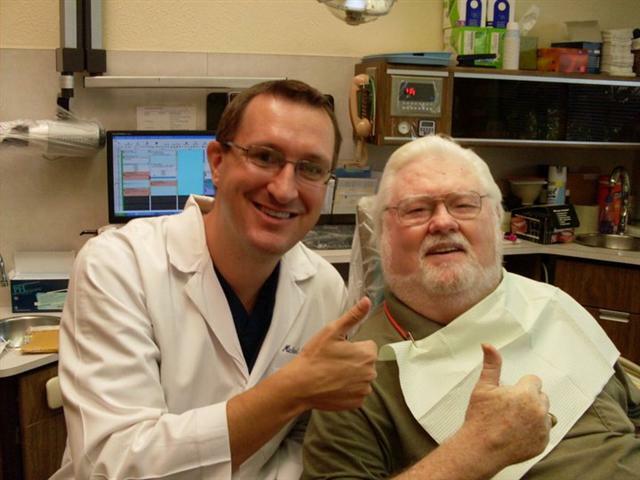 Discover why Dr. Nugent is known as THE PASADENA TEXAS DENTIST. Patients from Pasadena, Deer Park, La Porte, League City, Clear Lake, Seabrook and Houston Texas trust the expert cosmetic skills of Dr. Nugent. Call our office to see how cosmetic dentistry can change your life. Visit the office at 3421 Burke Rd Ste A, Pasadena, Texas 77504 or call us at 713-941-8261. 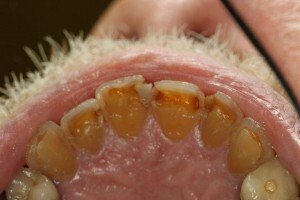 Teeth Bleaching or Teeth Whitening ?